I sent an email, but I felt it important enough to reply with the same answer here as well. I hope this finds your wife doing better. I have to say that any time someone shows a reaction to a spider bite more than a mild inflammation, they should see a doctor. There are always possibilities of complications with any bite. Allergies to certain venoms, infection, even the chance of some spiders carrying the MRSA infection. If you did not actually find a spider that bit her, there is always a very good chance she could have a completely different problem that looks like a spider bite. A vast majority of spider bites reported end up not being bites at all but infections within the body. If your wife is having any real reactions, please have her checked out. Always better to be safe than sorry. As to what kind of spider it would be, it is likely impossible for me to say. As I mentioned, it could be an allergic reaction to any spider bite or not a bite at all. 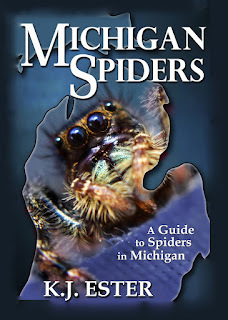 There are no spiders that are indigenous to Michigan that are considered to be real dangerous. The most dangerous here in Michigan is to my knowledge, the Yellow Sac Spider. Yet those rarely show any real affects. There is always a possibility of a recluse or Widow, but that would likely be a case of coming across one that was accidentally transported from out of state. If I had to take a guess, I would bet my money that there is something more than a spider bite going on. I hope your wife will be okay. Please let me know how it turns out. I will pray for her. I always take benedryl immediately when bitten or stung by anything to keep from having a severe reaction, even if I know what got me isn't poisonous . I also put 1/2cup Epsom salt to 1cup water and use as a compress to pull out any venom or I use essential oil of lavender for prevention of infection. Prevention is the best way to go about being a victim of bites!! I just thought i should post a comment about the brown recluse. They were always thought to not inhabbit michigan but they do. I live in the southeastern part of michigan near the ohio line and they have found brown recluses in our area. There has also been 3 documented brown recluse bites within a mile radius of my home. I know it starts as a small scab and then the area becomes swollen and painful. they are extremly dangerous. I know they are not malicious spiders but someone i know was bitten in their sleep and she almost had to had her leg amputated because the venum spead so quickly is ate the tissue in her leg right down to the bone. I just thought it was important to share the information. Secondly, if there are documented cases of Brown Recluse bites in Michigan, please post where we can see this info at. To my knowledge, the Brown Recluse is even pretty rare in Ohio. So for there to be multiple cases in lower Michigan would be extremely surprising. Did your friend actually see the spider? Was it identified? The reason I ask, is because very often people get flesh eating infections that are first diagnosed as Brown Recluse bites. That actually happens far more often than real bites do. If there are cases like this, I would love to post the truth on my site. But unless I see proof... Identified spiders documented, etc... I am forced to continue with what I do know. That is that I have yet to see any documented proof that Brown Recluses live in Michigan. I am a licensed pest control business owner in southeast Michigan. And yes the recluse is 100% in lower Michigan howerver they are very rare but should be made aware of. Just don't go sticking your hands under dark places like furniture before looking or dusting first. The biggest spider threat is the yellow sac spider which is responsible for the majority of bites in Michigan. Due to how common they are and their aggressiveness. However the only threat from a sac spider is an allergic reaction. Hi Anonymous :o) Thank-you so very much for the kind words. After having quite a rough day, to come home and read this comment simply made my day. I have had a lot of nice comments and I appreciate each one, but yours really made me feel good in a way I can't explain. It is great to know that Michigan Spiders has helped in a way that is so much more than identifying a spider. That your kids are not as afraid of spiders as they were, and seem interested in them is just great. 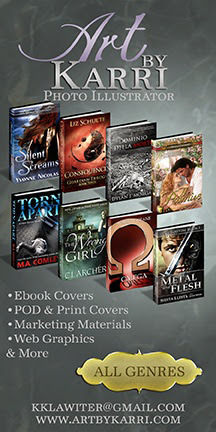 Likely you will find a spider not on my site sooner or later. There are so many. But please, dont feel you need to wait until you get a new one to send a pic. I am always glad to get new pics, even if they are on here already. If the pic is of good quality, where it shows good detail, I will add it to the right side (Submitted Pics). nice thx for responding:) ive always taught them if you have a fear investigate, see if its real what you are fearing.. we also found this story about this guy who had a horse barn.In the barn was a multitude of webs, they were not really in the way and high up, but still were enough that people would comment on it.. So he decided to clear them all out..then after a bit, his horses and him got extremely assaulted by horseflys. now if anyone has encountered those critters..O.O they buzz around your head ,and there bites are vicious. So he let the spiders back, and wouldnt you know it ,solved the horse fly problem..so theses sort of stories show how important they are. Just thought it was interesting story..and its strange now that we as a family(ok a little strange) have started looking at spiders, we look a little different at the world..and dont even get me started on ants...lol also ive read the blog of your family and you...and we are all sending best wishs to you and yours..its tough out there.. im secretly hoping that aliens will land...its starting to seem that might be the only thing that is going to transform life here..joking..lol :)ok semi joking..
Wow! This is an amazing, and very informative website. The best one I have encountered. I also have discovered the wolf spider as well as the grass spider around my home. I may even have the nursery web spider. I have heard many horrible things reguarding the wolf spider and was very concerned for my young children and being bitten. Thanks for helping me out! Just found a grass spider in my basement and caught it in a jar to identify it. Just realeased it ouside. Thanks for your helpful website. My back yard is filled with these nasty looking things!! At least 4 webs per fence post! In one spot along the fence I sprayed some poison and I saw 6 spiders run into their little (really not so little) funnels! I had 4 webs on my house as well, every web had a spider on it. I have never in my life seen such BIG spiders! I sprayed my whole back yard and house for bugs and spiders. I'm just to creaped out by these nasty things! I live in Bay City, MI. I've seen these spiders a few times around here, but I saw them frequently in Saginaw, MI. Just a note, these spiders cannot bite humans because their fangs cannot penetrate human skin. I know this because I despise spiders and seek all information possible about those confirmed to be living in Michigan. If I see any type of spider, I kill it - immediately. To spider enthusiasts, that may seem wrong. I don't care. LOL. 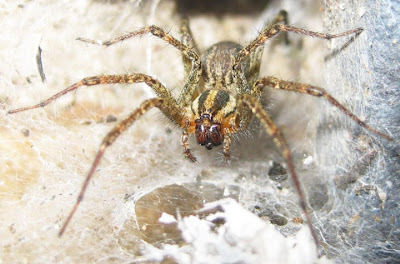 Grass Spiders can in fact bite and their fangs can penetrate human skin. However, they will only bite if they have no other choice. You can handle them and they likely will not bite, but if you were to squeeze one wrongly or something, they can bite. However, their venom is nothing to worry about and if their is any reaction, it will fade soon after. They are considered to be harmless. Grass Spiders usually stay to their webs. Sometimes in the fall, the males will go out looking for a mate and end up wandering into our homes. They are not aggressive at all and will run away. Even if you scoop one up they usually wont bite. If it was a particularly large spider that looks similar to this, it could also be a Wolf Spider. Some Wolf Spiders look much like the Grass Spider. To those that are interested, I did not realize things about the genus Agelenopsis. The grass spider has speed. I observed this watching a female funnel weaver grass spider kill a sac spider the same size! Their are diffferent species of grass spider? Hi! I live in the UP. When we were replacing our dock at camp, we flushed out a huge spider. I don't have a picture, although I wish I did, but it was the biggest spider I've ever seen in the wild. If I were to stretch out my hand(I'm an adult by the way), its legs would easily have reached out as far as my fingers. We entertained ourselves by checking up on it over the next couple of days, and we all decided it was much too cool to squish. Some of my family thought it was a wolf spider, but I think it looks more like this one. Would this spider be able to get that big and would it choose to make a home very near water? Or is there another spider you can think of that would fit this admittedly vague description? Again, I'm sorry that I don't have a photograph and can offer no specific details, but any help is appreciated. If there are multiple species of the Grass Spider, I am not aware of it. But let me make it clear that I am not an expert. I have simply learned a lot from looking them up myself over the last few years. But as I am aware, this is the only grass spider. If I am wrong, I would love to learn of it. As for the spider on the dock. I would suggest you look up the Fishing Spider. To my knowledge, they are the largest spider in Michigan, the adults growing up to four inches across. I believe they may get as large as 5 inches but that would be unusual. Since it was on a dock, that would lean to the Fishing Spider as well, for they are most often found near water. Went outside to find my landscaping and lawn filled with webs. I assume they are grass spiders by the pictures and the shape of their web. Wondered if anyone would know why there are hundreds of these in my yard so suddenly? There has been a positive brown recluse bite over 10 years ago in lower western Michigan also. The family had just gone on a vacation to southern states and potentially brought it home with them. يمكن النمل والعناكب والصراصير وغيرها من الآفات تتكاثر بسرعة، ورغم ذلك، وأنها يمكن أن تكون في أي مجموعة متنوعة من المراحل عندما يزور المبيد منزلك، لذلك إزالة بشكل كامل يمكن أن يستغرق بعض الوقت - في كثير من الأحيان إلا بعد عدة علاجات. معظم شركات مكافحة الآفات تقدم على الأقل ضمان لمدة 30 يوما على علاجات لمرة واحدة، حتى تتمكن من طلب العلاج العودة في غضون تلك الفترة إذا كنت غير راض عن النتائج.